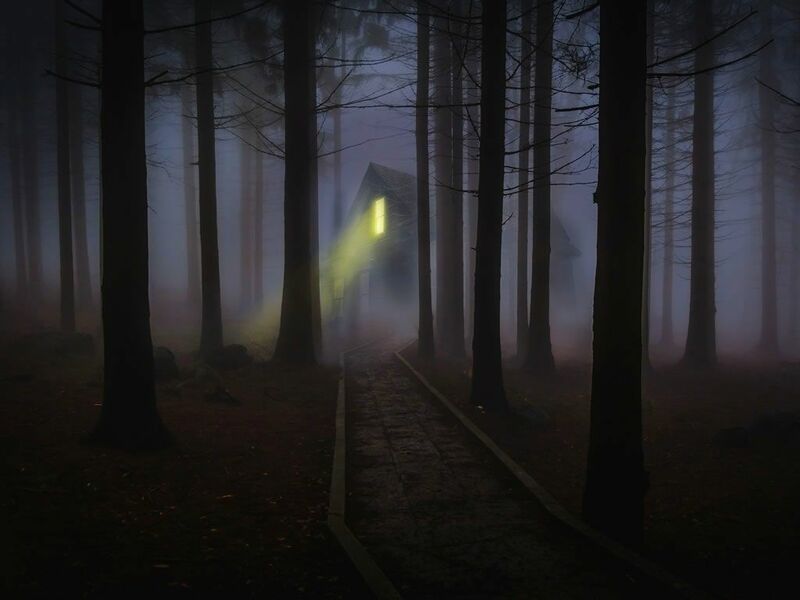 If you enjoy a good scare, or know someone who does, then ghost hunting might be just the thing to get the adrenalin pumping and the heart racing – all in the name of great fun! Set off with an open mind and who knows who (or what) you might bump into in the middle of the night… It’s exciting, exhilarating, and will certainly give you something to talk about for some time to come! What will you discover when you try a ghost hunting experience? What spooky facts will come to light, and what ancient secrets will you uncover? Designed to keep everyone entertained and enthralled, you can begin your ghost hunting adventure an amateur, and end it an expert! Your first job is to choose your venue; there are so many haunted places in Britain that there is sure to be somewhere near you – or somewhere that fascinates you. Maybe the spirits will guide you as to which place to go… Choose from castles, stately homes, and attractions!. When you arrive at your venue of choice, you will be greeted by the ghost hunting experts and given a brief history (both physical and supernatural!) of the location. Then you’ll get a chance to look through all the special ghost hunting equipment such as EMF readers and dowsing rods. You’ll be with a group, and you’ll be able to take part if activities such as table tipping, séances, vigils, and ‘call outs’ which, with any luck, will bring you a ghost or two to chat with! Since this is an night activity, expect spooky, creepy, and scary adventuring! 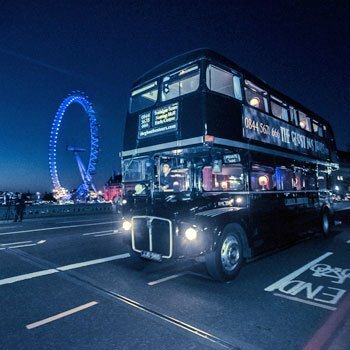 If you prefer a little comfort with your ghost hunting, then the London Ghost Bus Tour might be just right for you… Climb aboard a specially decorated Routemaster bus and enjoy the tour of London’s most haunted places, including Tower Bridge, the Tower of London, and Westminster Abbey. Your spooky conductor will tell you the haunted history of each location, and you’ll get a chance to snap some shots… Who knows what you’ll see when you download them? These ghost hunting experiences are scary evenings, so anyone with a medical condition that could be exacerbated by thrills and chills, please do take note. Ghosts not your thing? Prefer tackling the undead instead? Rid this planet of zombies here. WHEN: Events take place year-round. WHERE: Some tours take place in London. Others take place in spooky buildings around the country. WHO: This kind of experience is ideal for folks with a curiosity about the afterlife. If you're after a good thrill, hunting for the paranormal will tick that box. OCCASIONS: It's probably best to keep this one for a birthday or Christmas. Hop aboard a classic 1966 Routemaster bus for a tour of London to legendary sites of murder, torture, and execution. Learn more about the ghosts of London courtesy of your knowledgeable (but creepy) conductor. You'll see the Houses of Parliament, Westminster Abbey, St Paul's Cathedral, and the Tower of London, and learn about London's dark past. Prefer your creepiness to take place on the Thames instead? See Big Ben, the London Eye, Whitehall, the National Theatre, Somerset House, the OXO Tower, the Tate Modern, Shakespeare’s Globe, Millennium Bridge, London Bridge, HMS Belfast, Tower Bridge, and the Tower of London on this night river cruise. Your guide will explain the gruesome stories behind some of the darkest tales London hides and the spooky ghosts and ghouls that reportedly lurk in the capital. Take part in a paranormal investigation on the streets of London. Using the paranormal investigation tools of the trade, you'll attempt to make contact with the other side. You'll also discover abandoned jail cells, a gin palace, and London's largest execution site. Brace yourself for spooks and thrills.